Liquid bronzer is a beauty product that was first released a couple of years ago and is still having its day in the sun (or the clouds depending on where you are). For someone who likes things to be in their place and is uncomfortable with change, the beauty world sometimes gives me the jitters. I have used a moisturiser that's a liquid (Lancôme Énergie de Vie), an oil shampoo on my fine, oily hair (what? ), but can I really go as far to use a liquid bronzer? Bronzers and blushers were traditionally only found in powder form, and that's the way I, and a lot of other people, like it. I don't use cream or liquid blush or highlighters because they don't work on my oily face. I haven't found any that doesn't cause my makeup to slip off or make my face to look even shinier. However, even though creams and liquids scare people, mostly because they don't quite know how to use them, they are worth considering. When applied properly, they can create a natural look that stays put longer than their powder cousin. Bronzers, though? 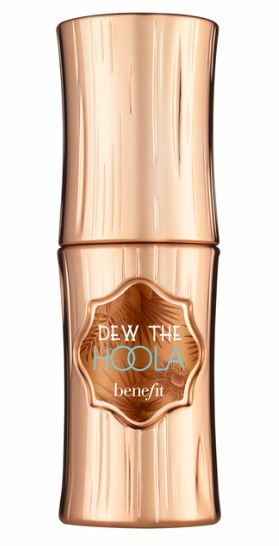 Is liquid bronzer really a good idea? I have a bad track record with bronzer because I'm so pale; it generally just makes me look dirty. However, I've been experimenting with a liquid bronzers I recently rediscovered in a makeup box I forgot about. And, I find it suits even my oily skin much better than any powder bronzer I've used. The secret is in the application. You can use mixed with your primer for a glow for within. But if you want that sun-kissed lewk, the best way to apply it is with a damp sponge. I have been using a Beauty Blender to apply the Lancome Custome Sculpting Drop. You press and roll, press and roll over your cheeks and along the hairline and temples, and under the jaw. It can get a bit messy due to the watery consistency, but it's buildable, so you can bronze as dark or light as you like. I've also used this on my shin bones, which reject tan, and it gives a lovely, even natural effect. I definitely rate liquid bronzers over powder. There are a good few on the market at the moment that pale skinned women like me can mix into your foundation to match fake tan. Have you used liquid bronzer? Where and how do you apply it and do you prefer it to powder form?